Don’t miss the opportunity to hear the most important and timely topics on labor issues from Michael Saqui of The Saqui Law Group, Counselors to Management. This seminar for grape growers and vintners takes place at the Wine Country Hilton on March 20, from 9:30-11:30am. The Hilton is located at 3555 Round Barn Blvd., Santa Rosa. There is no charge to attend. 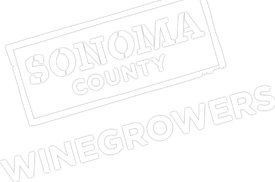 RSVP by March 19 to: https://www.sonomawinegrape.org/smart-grower-seminar. Check-in begins at 9:00am and the seminar begins promptly at 9:30am. Topics include: Legislative Changes for 2014; Wage and Hour Trends; Immigration Trends; National Labor Board and Union Trends; and Common Questions and Answers. There will be an opportunity for growers and vintners to have a Q &A with Michael Saqui.